Autumn is a time of change. More specifically, autumn temperatures rise and fall pretty rapidly. As we go from summer to winter, fall temperatures undergo some pretty severe drops. There are many things to watch out for when temperatures change. Today we are going to talk about how temperatures affect tire inflation. Perfect tire inflation is vital in order to keep your tires effective for as long as possible. 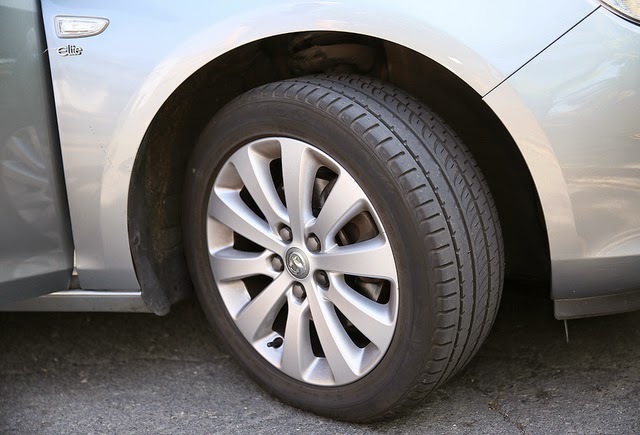 Over or under inflated tires cause unusual and accelerated wear on your tire tread, cause poor driving performance, and cause a loss in miles per gallon. It is always important to check your tire pressure regularly to make sure your tire pressure is at the recommended pressure for your vehicle. It is also vital to check your tire pressure every time there is a change in temperate more than 10 degrees. A simple drop of 10 degrees Fahrenheit will lower your tire’s air pressure by about 1 to 2 psi. As such, as the temperatures outside get lower and lower, make sure to check your air pressure often to keep your tires pumped up at the optimal air pressure for your vehicle. Jiffy Lube of Indiana is no stranger to tire pressure. Stop by your nearest Jiffy Lube of Indiana location today to have your tires checked by a certified technician as part of the Jiffy Lube Signature Service Oil Change. We will make sure your tires are pumped up and ready for optimal performance out on the road.